If you spend the better part of your day on the road then it’s likely you have witnessed how motorcycles riders are starting to take over our streets. To say they are brazenly courageous is an understatement; these daredevils in two wheels are just plain scary. They are fast, maneuvering quickly in and out of traffic while also capable of leaving anyone in sight in the open road. That they can save enormous amount of fuel is another envy of those stuck with gas-guzzlers. It wouldn’t be impossible then, unless someone can create a 20-kilometer-to-a-liter consuming car engine, that in the near future everyone will turn to motorcycles. 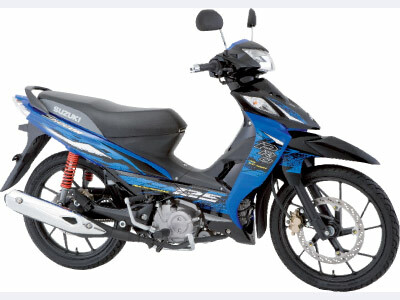 And Suzuki is just one motorcycle manufacturer banking on that possibility. Their new offering, the Shogun R and Pro, have almost everything anyone would want from a motorbike. Both four-stroke monsters, the Shogun series boasts of easy handling at break-neck speed, owing to an engine balancer that contributes to the low-vibration operation—read: comfortable riding.